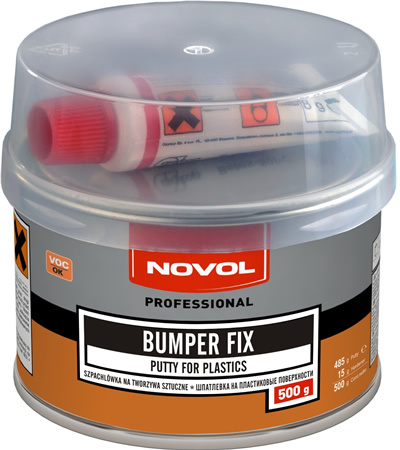 The BUMPER FIX putty is a putty for levelling the surfaces of plastic parts, e.g. bumper fascias, rear view mirror housings, strips and mudguards. 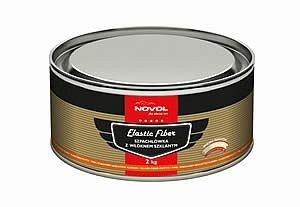 The product has a very high elasticity and excellent adhesion to most plastics (except for polyethylene (PE) and Teflon (PTFE)). It also has good adhesion to polypropylene (PP) which enables application on non-primed surfaces.